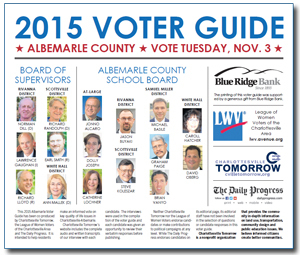 Graham Paige is a candidate for the Samuel Miller District seat on the Albemarle County School Board. Five of the seven seats on board will be determined in the Nov. 3 election. Other candidates in this race include: Michael Basile & Brian Vanyo. Bio: Graham is a life-long resident of Esmont, a lover of this beautiful area of central Virginia and a product of the public schools of Albemarle County. After receiving his undergraduate degree, he taught science at Western Albemarle and Jack Jouett Middle Schools for 24 years. Since retiring, he has been involved in a variety of activities in the area including a) his church- New Green Mountain Baptist; b) fraternal organizations- (100 Black Men of Central Virginia and the Odd Fellows); c) various Boards (Piedmont Housing Association, Jordan Development Corporation, Scottsville Museum and Southern Albemarle Family Practice Advisory); and d) tutoring and volunteering at B.F. Yancey Elementary.